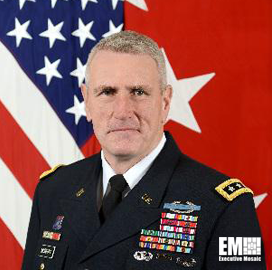 The Senate on Monday approved Gen. John Murray, former deputy chief of staff for U.S. Army's G8 unit, as commander of the Army Futures Command, Military.com reported Tuesday. Bruce Jette, assistant secretary of the Army for acquisitions, logistics and technology, said that Murray will oversee the service branch's laboratory system that was previously under Jette's supervision. He commanded the 3rd Brigade, 1st Cavalry Division, during Operation Iraqi Freedom and served as commanding general of Joint Task Force-3 in Afghanistan. Murray also served as the director of Force Management at the Defense Department, assistant deputy director of Joint Training, J-7, at the Joint Staff, and director of the Joint Center for Operational Analysis. His confirmation comes nearly six weeks after the Army announced its selection of Austin, Texas, as the location of AFC headquarters.